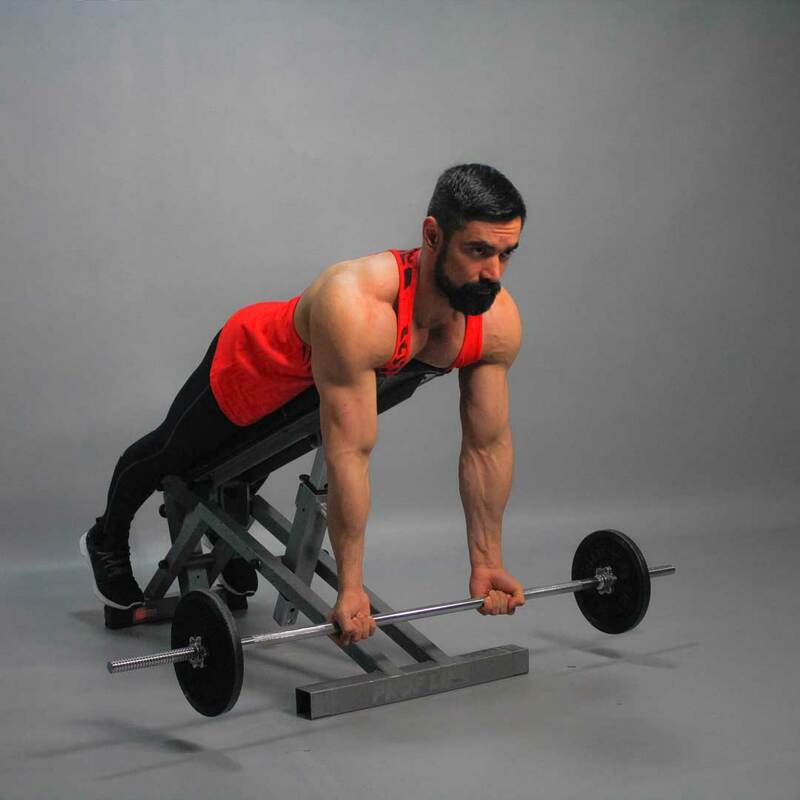 Lie face down on a flat bench, with your arms holding a barbell and hanging down. This will be your starting position. Exhaling, curl the dumbbells while contracting the biceps. Keep your upper arms (from the elbows to the shoulders) stationary. Only the forearms should move. Don’t swing your arms. Make a brief pause as you squeeze your muscles. 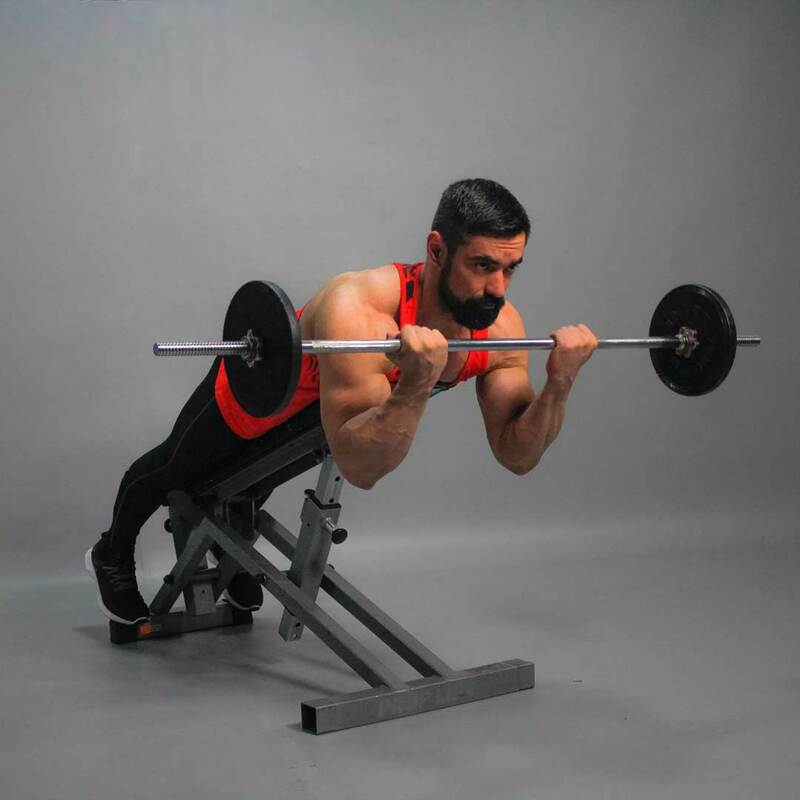 Inhaling, slowly lower the barbell back to the starting position. Perform for the required amount of repetitions.